HostIcon.com Review: HostIcon.com is a web hosting service provider that provides both Windows and Linux web hosting starting as low as $12.95 per year, averaging just $1.08 per month. The basic web hosting plan is very robust and provides all the basic web hosting features one will need to build and maintain a professional website. 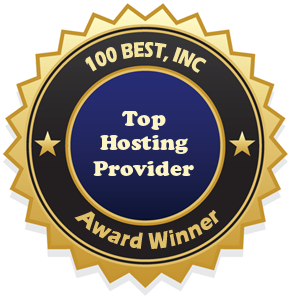 Here at 100Best Free Web Space we are recognizing HostIcon.com as one of the Top Hosting Providers. In addition to the basic shared hosting plans, HostIcon.com also offers VPS hosting, dedicated servers, domain name registration, and more. The HostIcon datacenters are located in Denver, CO and Dallas, TX with multiple high speed connections to provide optimal performance and uptime to every web hosting account on their servers. HostIcon.com is dedicated to providing the best customer service as well. Customers can receive help through the online chat, online tutorials, or the support ticket system within his/her web hosting account. Read some HostIcon.com reviews to learn more about actual user experience, or write your own HostIcon.com review to let others know about your personal experience with HostIcon.com. Statement From HostIcon.com: HostIcon.com (formerly NeoWebSpace.com) is a division of Space Technologies. Our Company serves web hosting, domain registration, VPS hosting, reseller hosting, fully managed dedicated servers on fastest internet backbones. Our hosting & server packages enable small and medium sized businesses to build, promote, manage and profit from their online presence.